Aubrant is creating digital businesses by bringing technology products and experts, focused on outcomes to drive our client’s success. With new technology capabilities, we bring our clients into the future of business. We help digitize processes, operations, customer interactions, and product\services, with advanced frameworks and technologies. This enables you to win in any market. Aubrant works primarily with federal and state governments and medium-sized organizations looking to scale or disrupt the market and enterprises focused on transforming their organization by harnessing effective digital business models. From commercial software license reselling to advanced software development, Aubrant delivers for our customers. 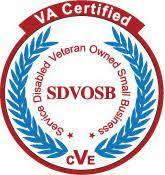 Aubrant is Service Disabled Veteran Owned.